Now that summer’s finally here it’s time to celebrate the warmer months and put on a fantastic summer party! Gone are the days where this used to mean a lacklustre barbecue with a few warm cans of lager, as there are some great themed party ideas that range from casino glamour to boho chic that can really give you an occasion to remember! The music festival fashion trend has become a massive style hit over recent years with top models like Suki Waterhouse and Cara Delevingne all being more than willing to adopt the boho look that makes full use of flower crowns, distressed denim shorts, Hunter wellies and those essential 1990s-inspired sunglasses. To get the festival feel be sure to furnish your home with lots of evocative touches of bohemia whether it’s the generous use of dreamcatchers, or getting in on the dusky Moroccan aesthetic with soft reds and ochre colours in your look – perfectly accessorised with the ever-present mint julep! But if the music festival party idea isn’t quite glamorous enough for you, then perhaps the casino party could be a good alternative. This gives the guys the chance to dress up in their finest mafia-styled suits, and the ladies should of course go for the most luxurious cocktail dresses with big hair and lots of vampish make-up. Music at a casino party should always pay homage to old-school Las Vegas crooners like Frank Sinatra and Dean Martin. And once you’ve got some extravagant cocktails lined up, then simply fire up the online casino at Betway for an easy-to-learn introduction to many iconic table games like roulette, blackjack and poker! And if you’re lucky at the online casino games, then you might also be in luck with the weather. In which case, having a beach party in your home and garden is a great way to celebrate in the sunshine. Whilst we might not necessarily want to import tonnes of sand into our garden, there are a few more simple ways that we can get the beach feel for our summer party. 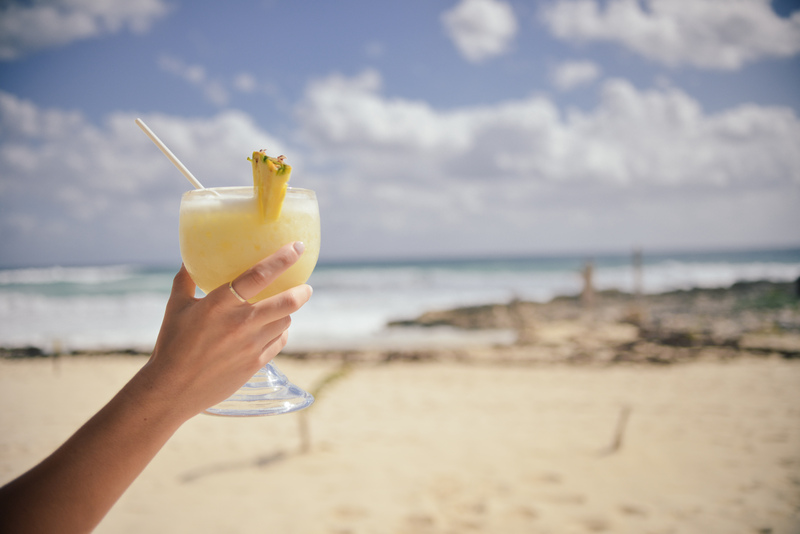 As well as those essential palm trees, music plays a big part and some retro fun can be had by putting the Beach Boys on the stereo, and obviously some lovely Caribbean styled cocktails are a great way to amp up the excitement. And whilst we might be slightly cautious about donning a bikini in our back gardens, it’ll certainly provide some interesting material for our Instagram feeds!